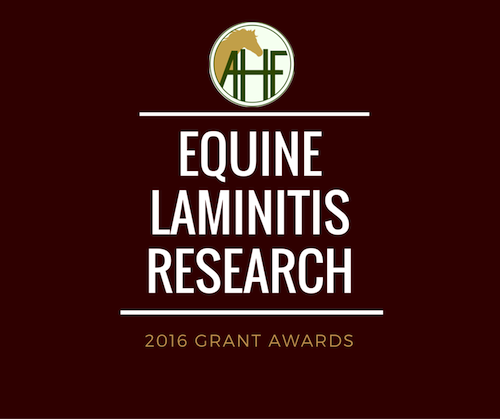 One of two 2016 AHF laminitis research grants for 2016 will be awarded to Nicholas Frank, DVM, PhD, DACVIM, Professor of Large Animal Internal Medicine at Cummings School of Veterinary Medicine, Tufts University, in Massachusetts. 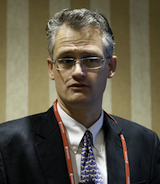 His proposal, "Safety and Efficacy of Two New Drugs for Managing Insulin Dysregulation in Horses" was chosen from among the studies submitted to AHF over the winter. Dr. Frank's co-investigators include a postdoctoral associate, Sarah Cass, at Tufts and two associates at the University of Massachusetts at Amherst: Director of Equine Management Cassandra Uricchio and Professor Carlos Gradil. The research team in Massachusetts plans to investigate two drugs that are used to treat endocrine disorders in humans are candidate therapies for managing insulin dysregulation (ID) in horses. These drugs have very different mechanisms of action: one lowers blood glucose concentrations by blocking the reabsorption of glucose in the kidney and the other inhibits insulin secretion from beta cells of the pancreas. It is likely that one or both drugs will be developed into veterinary pharmaceuticals in the future, but this cannot be assumed and the approval process takes years to complete. There is an urgent need for new treatments for ID in horses. Both medications are already available for use in humans and can be prescribed to horses as extra-label medications. Dr. Frank will evaluate these new drugs and obtain information to guide their potential use in horses and ponies. Insulin dysregulation is the key component of equine metabolic syndrome (EMS), a collection of risk factors associated with the development of laminitis in horses and ponies. Equids with ID have higher than normal insulin concentrations when feeding (postprandial hyperinsulinemia) and laminitis is thought to develop when hyperinsulinemia occurs for extended periods of time in horses and ponies grazing on pasture. Fasting hyperinsulinemia and tissue insulin resistance (IR) are also detected in animals with more advanced ID. What is the benefit to laminitis research of this study? It is our overall hypothesis that these medications can be used as single or combined therapies for managing postprandial hyperinsulinemia in horses and ponies, and that improved management of hyperinsulinemia will lower the risk of laminitis. 1) To evaluate the safety and dosing of these two medications in horses. 2) To compare normal horses and horses with ID and assess the impact of the medications (each administered alone) on resting and postprandial insulin and glucose concentrations. 3) To determine whether one or both medications alter active glucagon-like peptide-1 (aGLP-1) concentrations during oral sugar tests in horses. How will you conduct this study? The study will be conducted by administering the medications to Morgan horses (three normal; three with ID) in dose escalation studies. This project will be conducted at the University of Massachusetts at Amherst. Congratulations to Dr. Frank and his team. Photo of Dr. Frank courtesy of Richard Booth. One of two AHF laminitis research grants for 2016 will be awarded to Penn Vet Senior Research Investigator, Hannah Galantino-Homer, VMD, PhD. 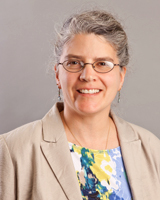 Her proposed study, "Epidermal stress in the pathogenesis and diagnosis of endocrinopathy-associated laminitis" was selected from a group of submissions. Dr. Galantino-Homer's research team will include co-investigators Lynne Cassimeris of Lehigh University, Julie Engiles of Penn Vet, and Robert Clark of Cumberland County College. The most common risk factors for laminitis in horses are excess pasture, obesity, and diseases that affect the horse’s metabolism, including equine Cushing’s disease and equine metabolic syndrome. These diseases and equine obesity share common features with human pre-diabetes/metabolic syndrome. research at New Bolton Center. Specifically, the metabolic diseases, obesity, and excess pasture are all associated with elevated blood levels of insulin, the endocrine hormone that allows the body to use glucose. We now know that high insulin itself is a laminitis risk factor and insulin alone can induce laminitis in horses and ponies when it is experimentally elevated for a prolonged period. This is known as the hyperinsulinemia model of laminitis. Several theories of how insulin causes endocrinopathy-associated laminitis (EAL) have been suggested in equine research. However, efforts to pinpoint the exact mechanism have been elusive. The investigators on this project have been applying their combined expertise in laminitis research, veterinary pathology, cell biology, protein biochemistry and histopathology to the complex problem of EAL through the use of the Laminitis Discovery Database. This “database” is the group’s archive of samples and information from naturally-occurring and experimental laminitis cases and controls. These data and samples have been collected for several years. 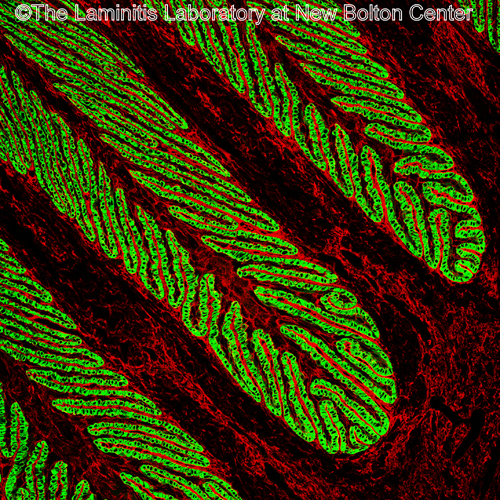 Previous molecular studies of the hyperinsulinemia model of laminitis at Penn Vet revealed changes in lamellar tissue that were consistent with over-stimulation of cellular processes. This over-stimulation leads to cell and tissue stress, damage, and loss of mechanical integrity, consistent with the failure of digital support that is the hallmark of laminitis. The Penn Vet group became interested in how their results compare to the literature on an increasing number of metabolic, degenerative, and inflammatory human diseases in which chronic overstimulation of cellular processes leads to cell death, tissue damage and ultimately, an inflammatory response to the tissue damage. The group documented molecular evidence of cell overstimulation and cell stress in naturally-occurring EAL cases from the Laminitis Discovery Database. They also detected changes in the same markers of cell overstimulation and stress that have been found to mediate several important human diseases and that are targets for drugs that could be applied to the prevention and treatment of EAL. Why is this study needed to improve prevention or treatment of laminitis? This study will allow the group to determine if the processes already documented in the Laminitis Discovery Database are important at the earliest stages of EAL. They will also determine if the lamellar tissue damage caused by EAL results in the release of keratin proteins into the blood; these proteins could serve as diagnostic biomarkers for laminitis. What is the direct benefit of this study? This knowledge would help in the early diagnosis of EAL and in determining the extent of lamellar tissue damage in affected horses. This study will improve our understanding of why EAL occurs, and it will open new doors to the prevention, treatment, and diagnosis of this common and devastating disease. Congratulations to Dr. Galantino-Homer and her team.